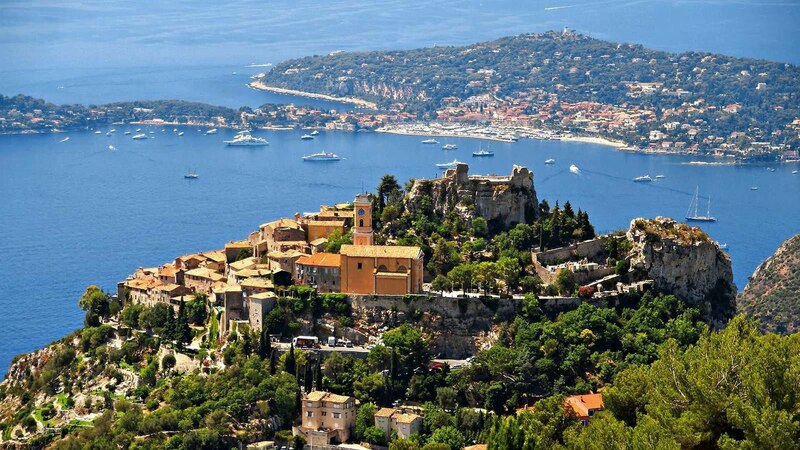 Your tour starts on the scenic roads of the “Moyenne Corniche” offering a splendid view over Villefranche-sur-mer and the peninsula of Sain Jean Cap Ferrat. You will then reach the Principality of Monaco and spend the afternoon in the old town on “Le Rocher” (the rock), which overlooks the sea and harbor (60 meters high) with a clear view of the Prince’s Palace and the Changing of the Guard (11:55). Take the opportunity to visit the Prince Palace (8 euros/adult, 4 euros/child), the Oceanographic Museum (14 euros/adult, 10 euros/child) or enjoy a short tour of Monaco using the touristic train.